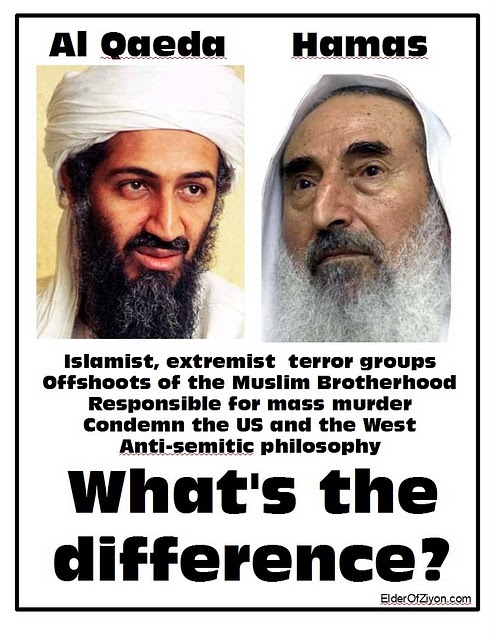 TERRORISTS SAY ISRAEL HAS DECLARED WAR ON HAMAS IN WB…….. – The Tundra Tabloids……. TERRORISTS SAY ISRAEL HAS DECLARED WAR ON HAMAS IN WB……..
Palestinians say arrest of 5 Hamas legislators a ploy to sabotage Palestinian reconciliation, hurt Hamas in elections. Israel has declared war on Hamas representatives in the West Bank, Palestinians said Tuesday, pointing out that five legislators belonging to the Islamist movement have been arrested in the past few days.Early Tuesday, IDF soldiers arrested Abdel Jabbar Fukaha, a Hamas legislator, in Ramallah and confiscated documents, a laptop andmobile phones from his home. Previous Post Previous Post LIB MEDIA SCHILLS FOR OBAMA……. Next Post Next Post MICHAEL COREN DISCUSSES BBC TOMFOOLERY AND PISS TALIBAN…….